Freshwater pearls are grown inside the Triangle Shell (Hyriopsis Cumingi) Oyster. On average it takes between 2 and 6 years for a pearl to form inside these oysters. 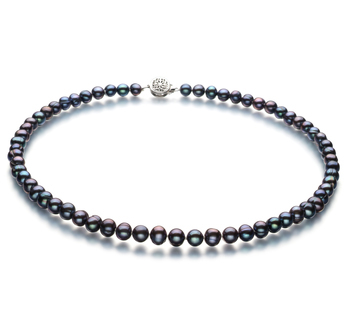 Today China is the leading exporter of Freshwater pearls around the world. 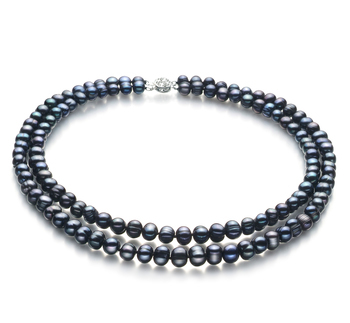 Due to the large number of pearls they have been able to produce this has helped to keep the price of even Black Freshwater pearls low. So making them more easily accessible. 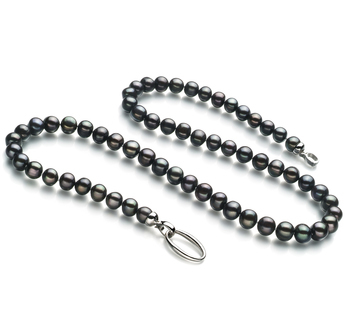 The lighter Freshwater pearls are excellent for using to make beautiful black freshwater pearl necklaces with. This is because they can absorb the dyes used on them more easily. 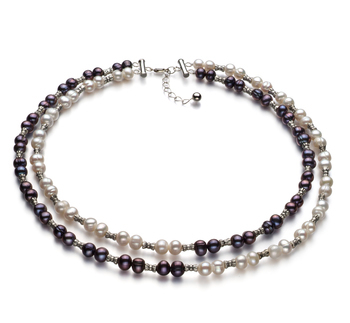 In turn, it helps to make them the most versatile type of pearl available today. 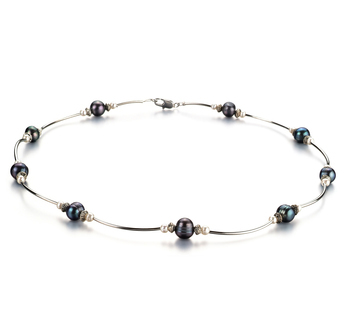 Freshwater pearls come in a variety of different shapes along with round ones they now come in oval and baroque-shapes. But the round ones are extremely rare. 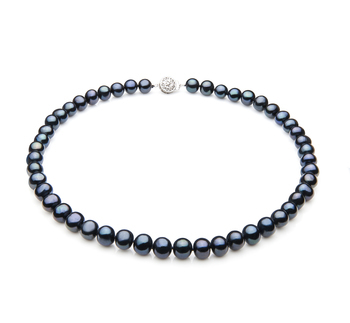 In fact, less than 2% of all Freshwater pearls used today will be round in shape. 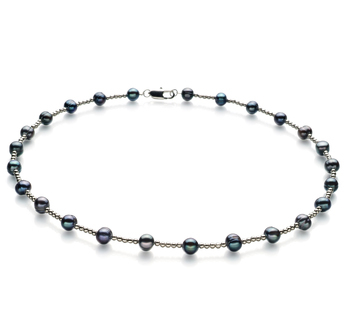 As well as being available in a number of different shapes you will find that the pearls used in a good Black Freshwater Pearl Necklace such as those in our collection come in a variety of different sizes. 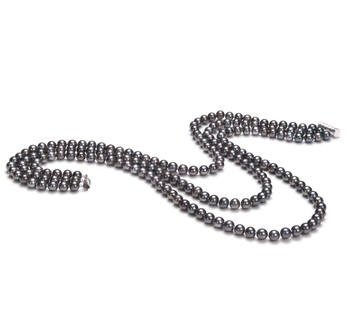 Such pearls tend to measure between 3mm and 5mm and 7mm and 10mm. It is their size that helps to make them so versatile and suitable for use in a variety of different jewellery pieces. This is why such pieces of jewellery are now so popular with women of all ages to wear. 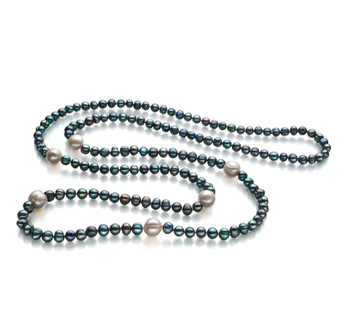 Today Black Freshwater Pearl Necklaces are proving increasingly popular for two reasons. They are more affordable and of course, they look gorgeous when worn. 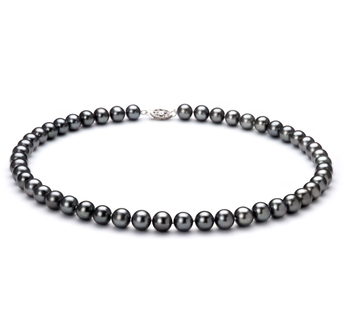 These make the ideal choice for anyone who is buying pearls for the first time and can easily be included in any woman’s wardrobe. 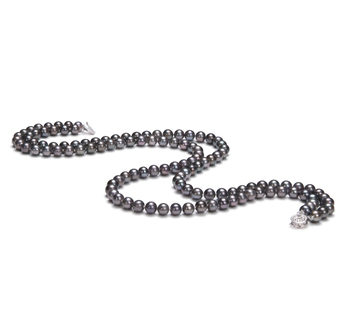 Single strand pearl necklaces are the true symbol of elegance and femininity. Such pieces can be worn with casual outfits as well as with more formal ones. This makes them a key accessory for any woman to own. 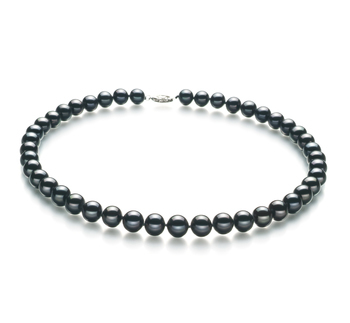 A double strand of Black Freshwater pearls is very chic. 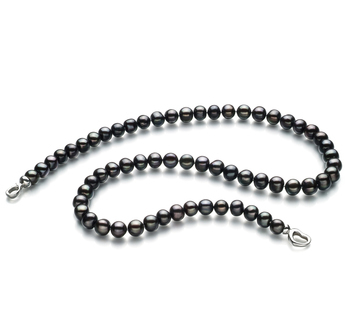 Our double strand Black Freshwater cultured pearl necklaces will add a touch of sophistication to any outfit. They will make any woman who wears feel that little bit more special. This is the ideal gift to present to your wife on your wedding anniversary. Black Freshwater pearl necklaces are made using baroque-shaped pearls, making them a bold jewellery item. These are a statement piece that will enable any woman to display their more adventurous side. 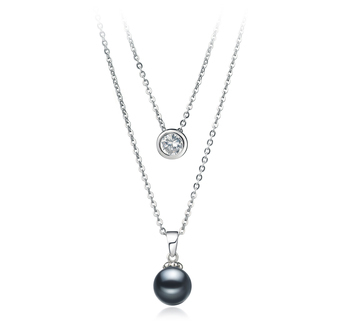 These types of necklaces are suitable for wearing with chic casual outfits as well as with more formal elegant ones. 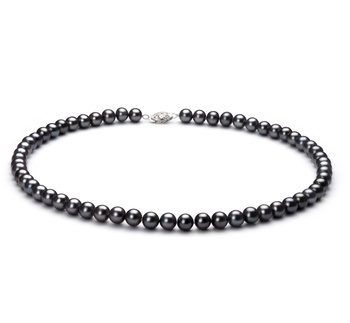 This very delicate style of necklace carries a special kind of grace. 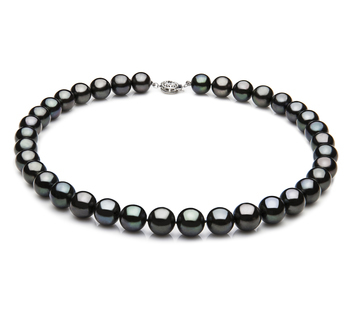 The use of a transparent nylon filament helps to further emphasize the color and beauty of the black Freshwater pearls. 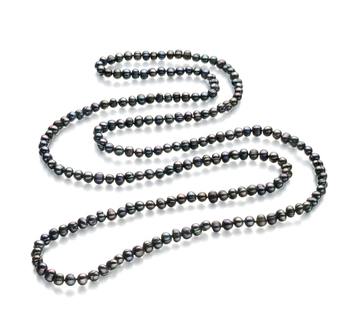 This is the style of Black Freshwater pearl necklace that teenagers or women in their early to late 20’s will love to wear. But some older women may find them just as lovely if they have a more playful side to their personality. Such a necklace would be the ideal gift to present to your daughter or granddaughter as a gift when they turn 16.